In South Korea, the major focus of high school students is studying for college entrance exams with little opportunity to think about world affairs or even about their own country’s affairs. Professor Roger D. Kornberg of the Structural Biology department at Stanford University, and current professor at Konkuk University, remarked that the Korean method of cramming is depriving students of unique worldviews. Furthermore, high schools girls in Korea are l0% less likely to be supported by their peers in developing political views than men. With this in mind, Heeryoung “Haley” Kim, a member of Global Peace Foundation’s (GPF) Global Peace Women Young Leaders Academy in Korea, initiated a leadership program for female high school students to freely share and develop their viewpoints on Korean and foreign affairs. 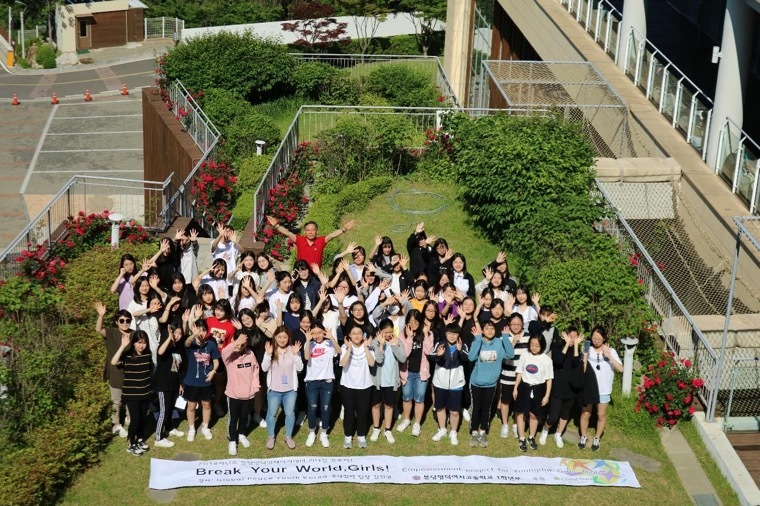 From March to December 2018, Haley led the program called “Break your world, Gals! : Empowerment project for Youngduk Girls’ High School.” One of the important components of her program was a special workshop for leadership development. 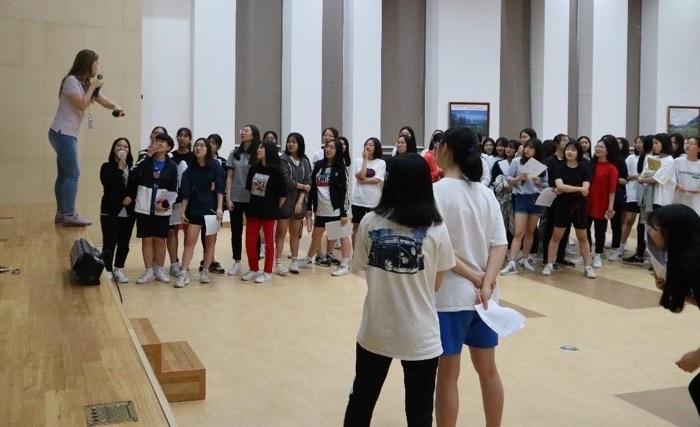 A total of 40 high-school girls participated in the program’s two sessions: one in May at Bundang Youngduk Girl’s High School and the other in June at Ganghwa Gracehill Youth Center. The girls in this program were given the unique opportunity to think critically about world affairs and grow their leadership capabilities. Thanks to leaders like Haley, young girls in Korea are feeling empowered as leaders who can contribute to building a world of peace starting on the peninsula that will determine security in the region and have global implications in the years to come.